Title "NO SURRENDER"! The Story of Captain Scott's Journey to the South Pole. Publishing Information London: Thomas Nelson and Sons Ltd., 1937. 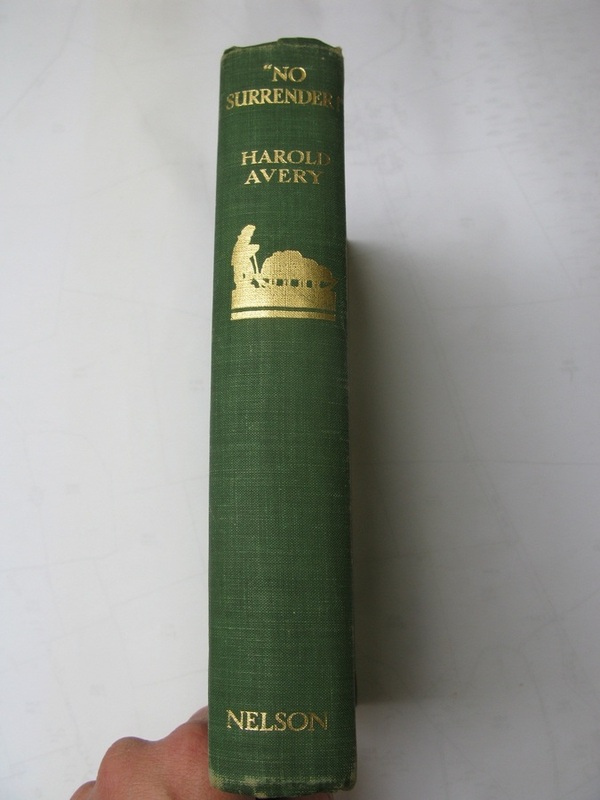 Description 3rd printing; vii, 258pp ( 20pp advertisements) frontispiece and 4 illustrations by Rowland Hilder. Green cloth with gold titling and vignette of sledge on spine, Nelsonian library stamp embossed on front cover, no dustjacket. Some foxing to page edges and feps. Good.